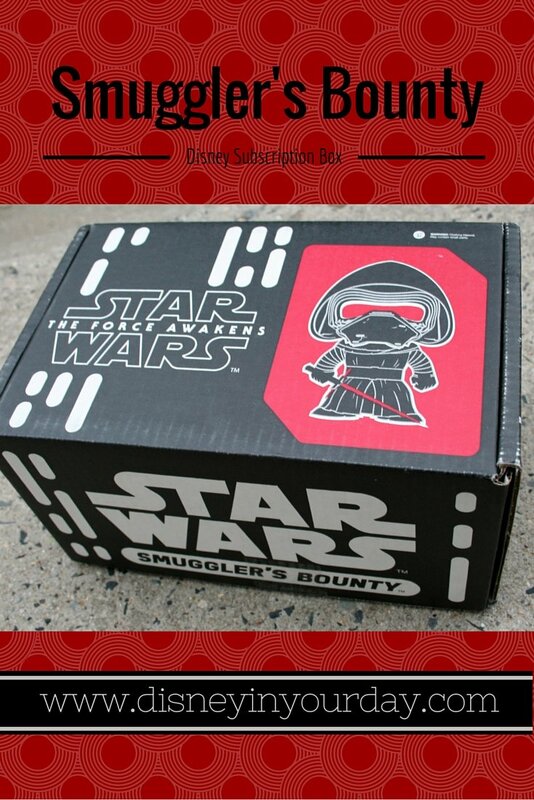 Earlier this week I received my very first Smuggler’s Bounty subscription box! This is a Star Wars themed box that comes every other month. Everything in it is exclusive to this box and it is done in collaboration with Funko, so the odds are good that you’ll be receiving at least one POP vinyl in each box. The first box had the theme “The Force Awakens” for the new movie. I’ve been trying to stay pretty spoiler-free, so getting this box before the movie came out was a little bit confusing to me, haha. I didn’t really know who the characters are yet and the significance of it. 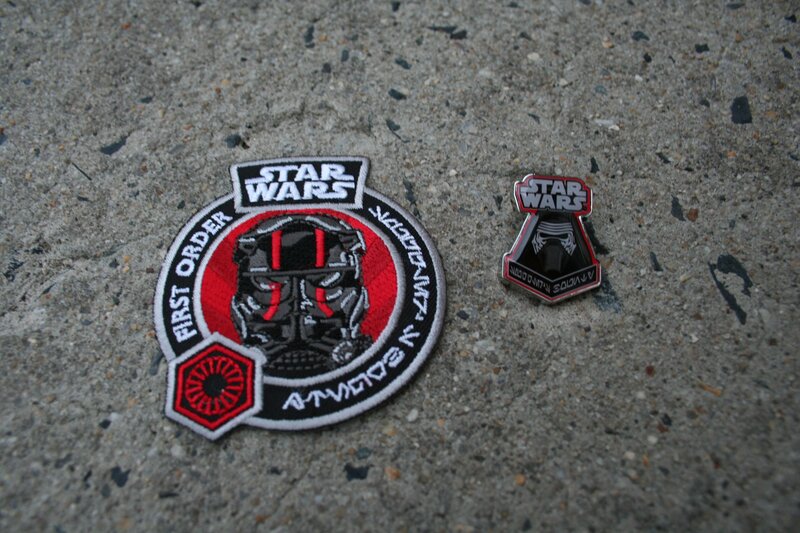 The first thing you see when opening the box is a patch and a pin for the month’s theme. This is done by the same company who does the Marvel subscription box so I’m guessing you will get this in every box. There was a t-shirt in this box with I think Kylo Ren on it (and I don’t know who he is yet!). Apparently there were 4 different designs, but this is the one I got. Pretty cool looking. 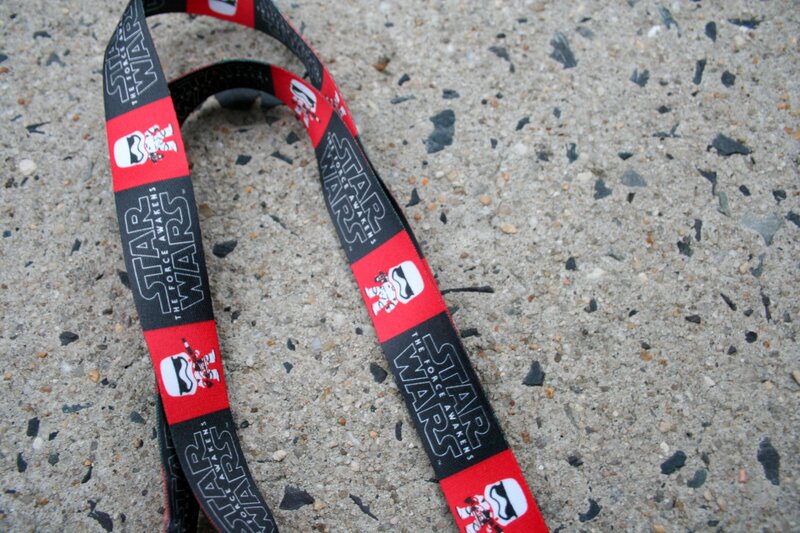 There was also a lanyard with the Force Awakens logo and a stormtrooper. This is cute and the only thing I really recognize and will use. Then there were two POP vinyl figures. I don’t collect these so I’m not sure how I feel about getting two of them. I’m sure that it’s great for people that do collect them though! 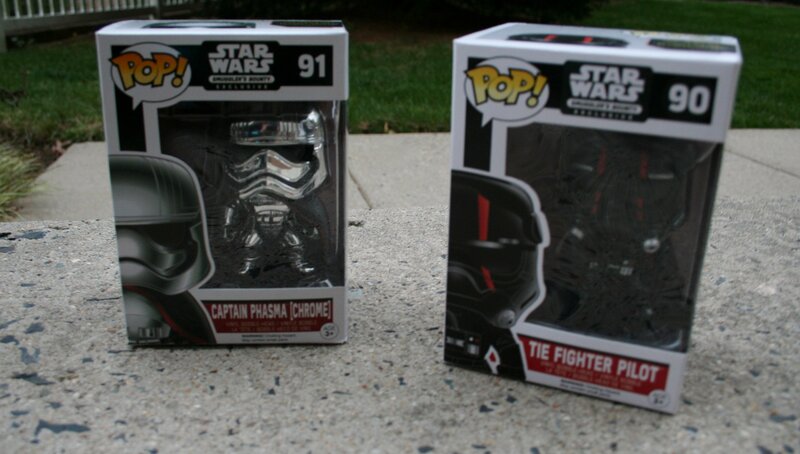 One of the figures is Captain Phasma in a special chrome form, and a tie-fighter pilot. Overall I think the Smuggler’s Bounty Star Wars box definitely has a good value. Really big Star Wars fans and people who collect POP figures and also like Star Wars will be big fans of this box. As for me personally, I feel like it is a good deal for the price though the items themselves aren’t necessarily what I would prefer. 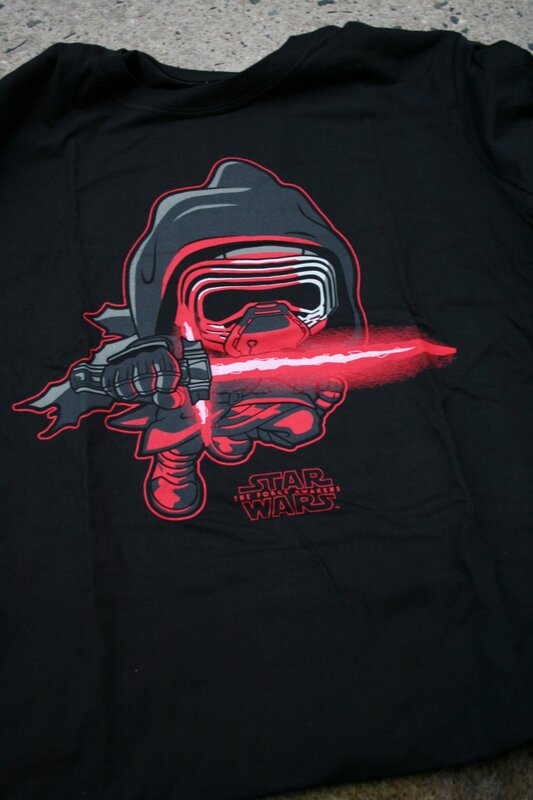 Though I have some friends who like Star Wars so I might be able to give it to them! That being said, I’m going to get it for at least one more month – January’s box has BB-8 on the front and I think he’s adorable, so I’m hopeful that they’ll be using characters that appeal more to me next time around! Is this a box you would be interested in trying? This is great! 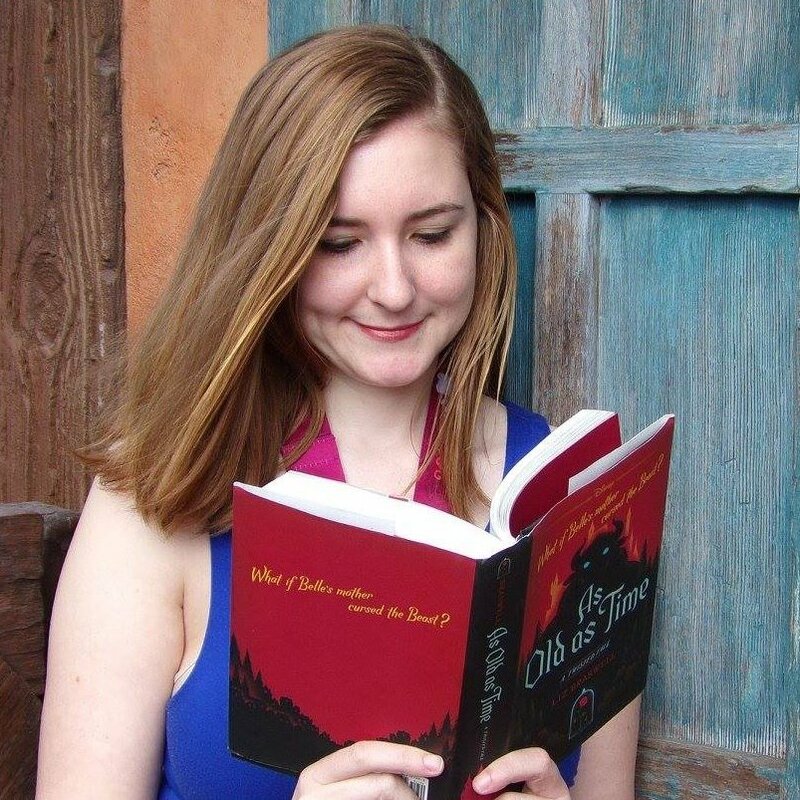 Can’t wait for the movie! Me too, I’ve got my tickets already! How fun! One of my kids would love this box. The kids at my library love Star Wars so I bet it would be popular with them! my husband & Ben would flip for this! Haha that’s great! I bet they’re looking forward to the new movie too! That would be the perfect place for one of these! I bet he will love that – plus with a subscription box it keeps up the fun even after Christmas is over! It is, I love getting surprises in the mail! What a fun box! My husband is a star wars fan but last thing I need is more junk in my house! Haha I know the feeling! With many of these boxes I keep the things I really like (though that’s probably still too much! ), and give the other stuff away to family and friends. What a great subscription box!! What a wonderful Xmas present a subscription for this would be for someone!! It would make a great gift, especially because it keeps the fun going after Christmas is over!